Martha Sperry has a great follow up post on this issue here. This week's Daily Record column is entitled "Success is in the eye of the beholder." 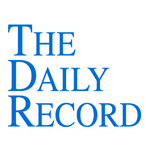 This week's Daily Record column is entitled "The ethics of virtual law offices, take two." Can a law firm ethically maintain a virtual law office? The Pennsylvania Bar Association Committee on Legal Ethics and Professional Responsibility answered that very question in its recent opinion entitled “Ethical Obligations on Maintaining a Virtual Office for the Practice of Law in Pennsylvania” (FEO 2010-200). The short answer: Yes, Pennsylvania attorneys can maintain a virtual law office while still meeting their ethical oblig- ations as attorneys. Thankfully, this definition squared with my understanding of a virtual law office far more so than the antiquated definition offered by the New Jersey ethics committee in a controversial opinion (Opinion ACPE 718/CAA 41) regarding virtual law offices that I discussed in an article last spring.In fact, the overall gist of the Pennsylvania opinion was far less reactive and far more logical and forward-thinking than the New Jersey opinion on virtual law offices. The Pennsylvania committee first noted that the opinion did not apply to client portals or cloud computing and then addressed what law firms operating virtual law offices may do. Most importantly, the committee concluded that lawyers may maintain a virtual law office in Pennsylvania and may operate the office from homes located within or outside of Pennsylvania. The committee explained that physical addresses need not be listed on letterhead or in advertisements, thus allowing attorneys operating from a home office the ability to keep their home address private. Attorneys may use a post office box as their listed address, but must disclose that legal services will not be performed at that address. While the lawyer is not required to meet with the client at any specific address listed in an advertisement, the lawyer must nev- ertheless conform with the Pennsylvania Rules of Professional Conduct by disclosing all relevant information as required by the rules.The committee then qualified its determination, and, acknowl- edging the unique nature of the services provided by a virtual law office, set forth a number of specific requirements with which lawyers operating a virtual office must comply. However, an explanation regarding the concept that the reduced overhead of a virtual law office may lead to reduced fees compared to a traditional law office is permitted. The committee also explained that attorneys operating virtual law offices must take particular care to con- firm the identities of their clients and must take reasonable steps to determine whether their clients have diminished capacity. The Pennsylvania committee’s forward-thinking analysis in this opinion provides helpful guidance for other bar associations grappling with the difficult issues presented by emerging legal tech- nologies. These technologies have the potential to re-shape the delivery of legal services for the betterment of clients and attorneys and thus should not be feared, but rather accepted and incor- porated into law practices in a thoughtful, responsible manner. This important and very useful opinion helps attorneys do just that, and represents a step forward for lawyers wishing to prac- tice law using 21st century technologies. This week's Daily Record column is entitled "Lawyers, at last, make peace with Web 2.0." The American Bar Association released the 2010 Legal Technology Survey Report earlier this year, based on surveys of more than 5,000 ABA members in private practice. The report offers detailed statistics and trend analysis regard- ing lawyers’ adoption of different types of technologies into their law practices. The survey’s results are promising, and indicate that lawyers — a group of professionals historically resistant to technological change — are using a broad spectrum of emerging technologies in their practices, including social media, mobile computing, smart phones, cloud computing and e-book readers. Use of social media platforms among lawyers appears to be increasing: The majority of respondents, 56 percent, now have a presence on an online community or social network, such as Facebook or LinkedIn, compared to 43 percent in the 2009 survey and 15 percent in the 2008 survey.Lawyers also have been quick to adopt smart phone use in their day-to-day activities. More than 76 percent of respondents now own smart phones, up from 64 per- cent in the 2009 survey. More attorneys are using smart phones in the courtroom as well, with 71 percent reporting courtroom usage, up from 60 percent in 2009. Smart phones are used for a variety of reasons while in court, with 64 percent of respondents checking their e-mail, 60 percent sending e-mails and 46 percent using the calendar function. Use of e-book readers also is on the rise in law firms, with 10 percent of respondents reporting that e-book readers are available in their offices and 16 percent of solo practitioners report using them. Only 4 percent of large firm respondents reported doing so. 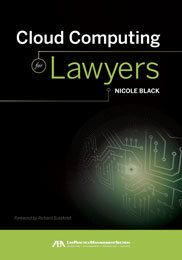 Cloud computing and mobile computing have made their mark on the profession as well, with more and more attorneys reporting they are practicing law away from the office. Some are simply working remotely from time to time, while others practice solely from a virtual law office. Mobile computing is increasing rapidly, with 35 percent of respondents reporting they regularly conduct legal research from home, up from 24 percent in the 2008; 46 percent of respondents reported spending 10 to 24 percent of their time working away from their main office setting and nearly all respondents (96 percent) reported having Internet access available to them while away from the office. The primary devices used to access the Internet while away from the office were laptop computers (49 percent) and smart phones (32 percent). Only 17 percent of respondents reported using desktop computers to access the Internet outside of the office. Virtual law practices are becoming more common as well: 14 percent of respondents reported that they provided virtual lawyering services, defined for the purposes of the survey as a practice in which the attorney did not typically meet with clients in person, and inter- acted with clients primarily through using Internet- based software and other electronic communications software. The results indicate, too, that lawyers increasingly are turning to the Internet as their first source for infor- mation, with 46 percent of respondents reporting they seek out information using free online services before turning to fee-based Internet/online services. The results of the survey are heartening and indicate that lawyers are becoming more accepting of new tech- nologies. Attorneys are taking advantage of the flexibility now available to them through the use of smart phones and tablet computers. Rather than shunningInternet-based tools, they are taking advantage of the opportuni- ties offered by the new platforms. Who knows what the future will bring? I, for one, am looking forward to next year’s survey results. I have no doubt the final statistics will provide further evidence of a profession in the middle of a cataclysmic change — one that will forever shape, for the better, the ways in which legal services are delivered in our country.